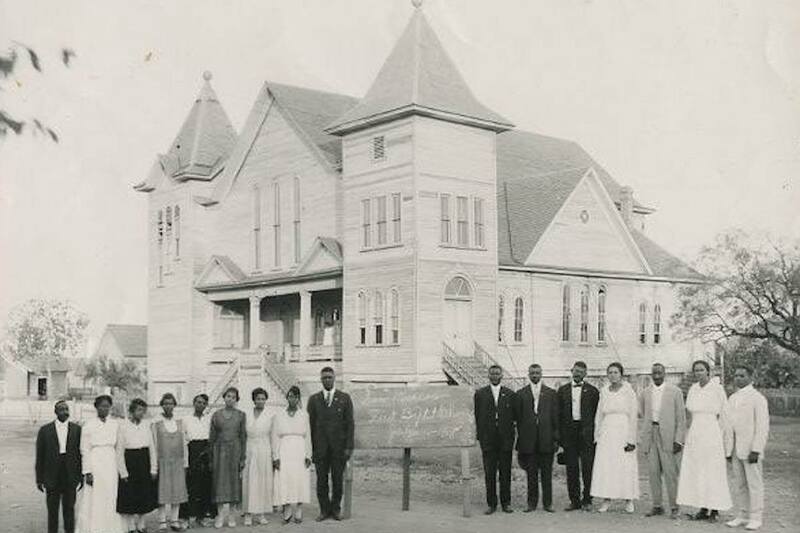 This Abandoned Texas Church Once Destroyed By The Klan Is In A Contest For Revitalization Money | Texas Standard The San Marcos Baptist church was first burned down by the KKK. Now community members are trying to save its history from being erased by gentrification. The Historic First Baptist Church in San Marcos today. Photo courtesy Kim Anderson.